← Soy, friend or foe in breast cancer? As we discuss in class, juices pose a number of problems and our bodies actually do better without them. First, we typically strain the fiber out of most our juices, fiber we need to grow the right intestinal flora. Second, even if we drink juices that retain the fruits’ fiber, juicing typically changes how much fruit we end up eating. When we have to chew and swallow, we fill up more quickly because we have the opportunity to provide our brain with some feedback via grehlin on how satiated we are. We might eat an orange or a few carrots for a snack. But, if we were juicing, we might well instead use 2-4 oranges or up to 10 carrots to make a glass of juice. In our culture, we usually think that if something is good for us, more is better. Actually, more of anything than our body really wants is seldom a good thing. In the case of juice, we are ingesting much more fructose as a result of increasing our fruit and sweet vegetable intake by juicing. And fructose is difficult for the body. Any excess fructose grows the simple sugar loving microbes, that are not beneficial to our digestive tract, and the fermentation products that result as they metabolize that fructose can cause substantial intestinal distress. The fructose we do absorb is processed by our liver and in excess begins to burden our liver. The result: Increased levels of triglycerides, cholesterol, and LDL with lowered levels of HDL. Fructose in excess also increases insulin resistance in our cells, often eventually leading to diabetes. Simply drinking a glass of juice a day over a lifetime may increase the incidence of diabetes by some 18 percent. Thus, there are good reasons to avoid juices and juice fasts and instead go for whole fruits and vegetables. A study to be published in October adds yet another reason: Drinking juice is associated with an increased incidence of rectal cancer. This study looked at the diets of people diagnosed with colon cancer and compared their diets with a similar but cancer-free group of people. In the study, researchers for the first time also distinguished the specific types of colon cancer and learned some interesting facts in the process. Different fruits and vegetables had different effects on different parts of the colon. Thus, proximal colon cancer decreased the more brassica vegetables were consumed. Brassicas were defined as cabbage, Brussels sprouts, broccoli, and cauliflower (but usually also include rutabagas, turnips, kohlrabi, cabbage, kale, and mustard greens). Eating more brassicas, more dark yellow vegetables (carrots, pumpkin), and apples reduced the risk of distal colon cancer. Brassicas eaten along with green leafy vegetables (lettuce, endive, salad greens, silverbeet, or spinach) showed a strong trend toward decreasing the risk of distal colon cancer. Only apples reduced the risk of cancer; other fruits did not. Then the surprising facts: Those who drank more fruit juice had a much higher rate of rectal cancer. In addition, those eating a lot of fruit showed a trend toward an increased risk of rectal cancer but that trend did not reach statistical significance. We do not know exactly why different vegetables benefit different parts of the intestines. Nor have we established exactly why juices are especially problematic for rectal tissue. Nonetheless, it is quite clear, and getting clearer, that we need a variety of whole vegetables for health, and that we should eat, rather than juice, our foods. This entry was posted in Food and tagged apples, brassicas, cancer, colon cancer, juice, juicing, leafy vegetables, rectal cancer, vegetables. Bookmark the permalink. this makes a lot of sense to me, but had never thought it, thank you so much. I find the ways the body handles, and doesn’t handle, fructose really interesting. fructose feeds the bad bacteria in the body, this is how ie. women get yeast infections. I mean, they tend to get a build up of bad bacteria due to too much sugar particularly fructose. A doctor student I knew once explained it to me like this. 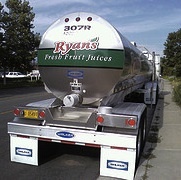 It helped me took at my diet, and just how much of what I was eating was hight fructose fruit, or other fructose foods. What I think is happening essentially is that the PH balance in the body get out of wack, ie. too acidic. Me especially, as I am not to be eating bread made with yeast. Fructose malabsorption may just be, a big problem for a lot of people. How much our pesticides contribute to cancer is not well studied. However, I don’t know that juicers get that much more in the way of pesticides than do those simply eating fruits and vegetables. And the study showed that vegetables and apples eaten were protective of the intestines. Any hydrolyzed protein will come with MSG. I’m not excited by the new sprays but MSG is water soluble and unlikely to be a big player here. Glyphosate is a big problem but more of a problem in wheat and sugar than in juice. I’m fairly convinced that the juicing issue is primarily caused by concentrating simple sugars and feeding the wrong intestinal flora.